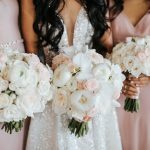 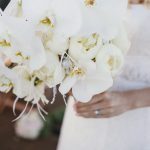 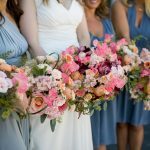 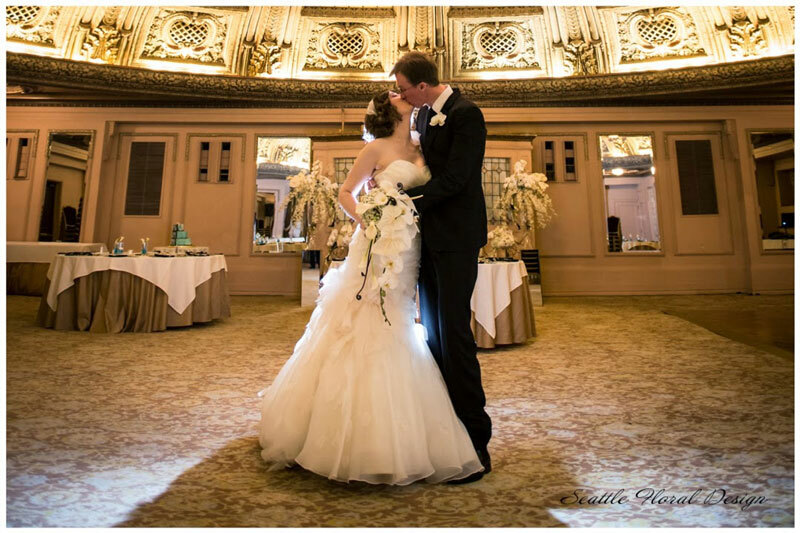 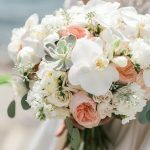 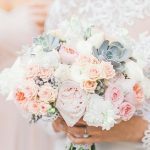 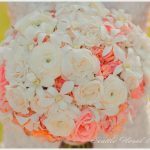 Elegant arrangements with a modern edge, architectural, maybe even a bit minimalist, but still very glamorous, that is how the bride described a style of the floral décor for her wedding. 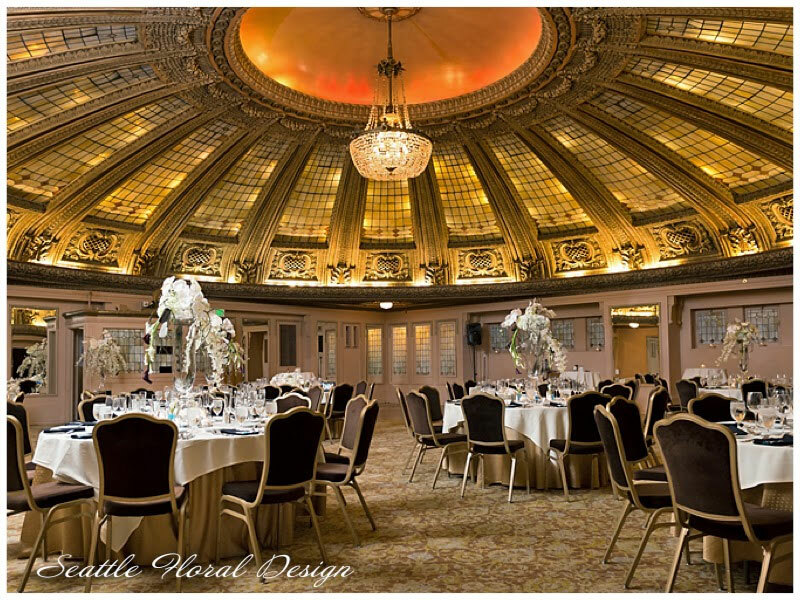 The Arctic Dome is a unique venue for those who prefer an atmosphere of historical elegance blended with contemporary style. 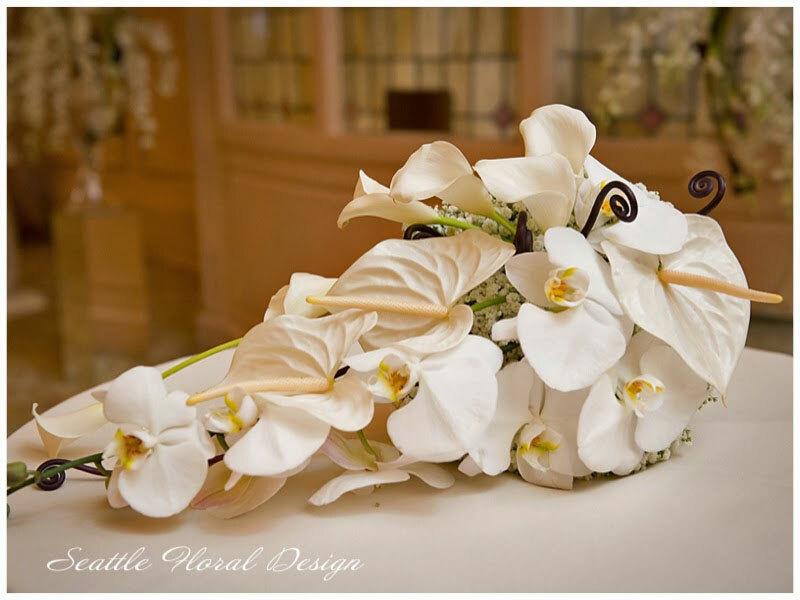 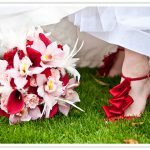 Unique, contemporary, and distingue bridal bouquet made of Phalaenopsis orchids, calla lilies, anthorium, and gypsophila. 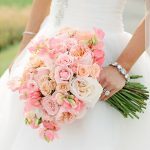 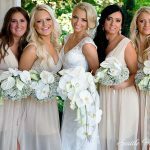 The bridesmaid’s bouquet is a round shape bouquet of the same flowers as in a bridal bouquet. 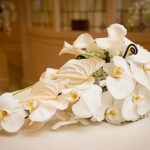 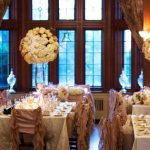 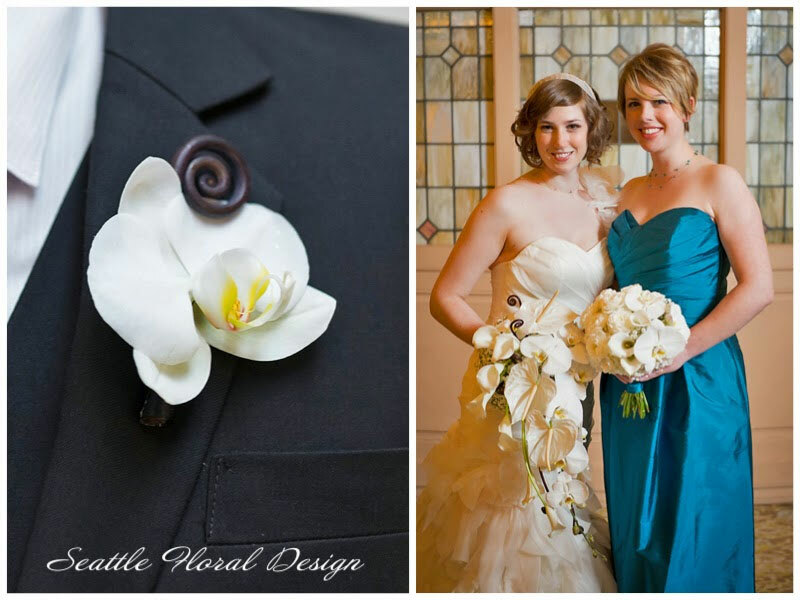 The ceremony arrangements were designed in architectural design using flowers in black and white, calla lilies, orchids, hydrangea, anemones, anthorium, and black tie leaves. 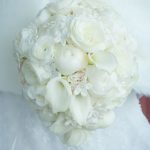 Inside in a vase we had a peacock feather, one of the elements of the wedding décor. 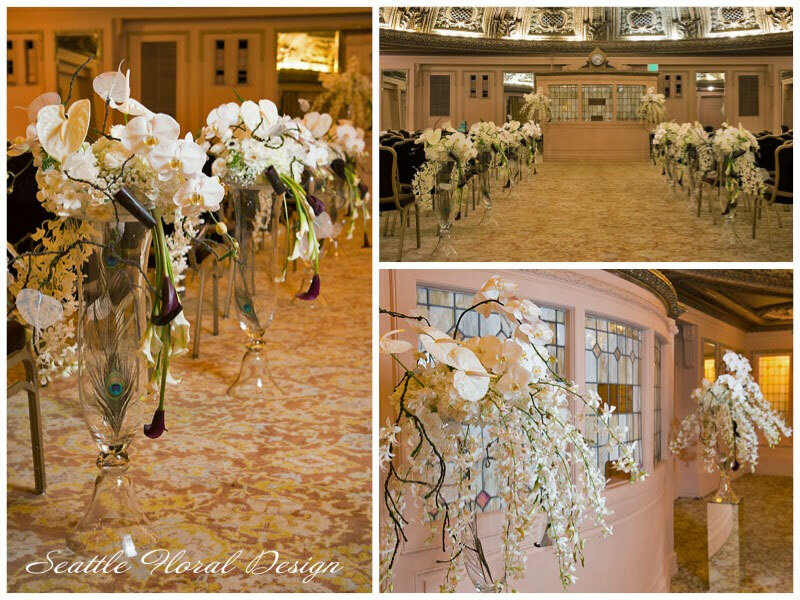 Another element of the décor is a skeleton leaves. 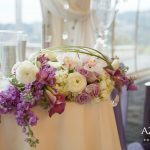 We added them to the arrangements and as a napkin décor. 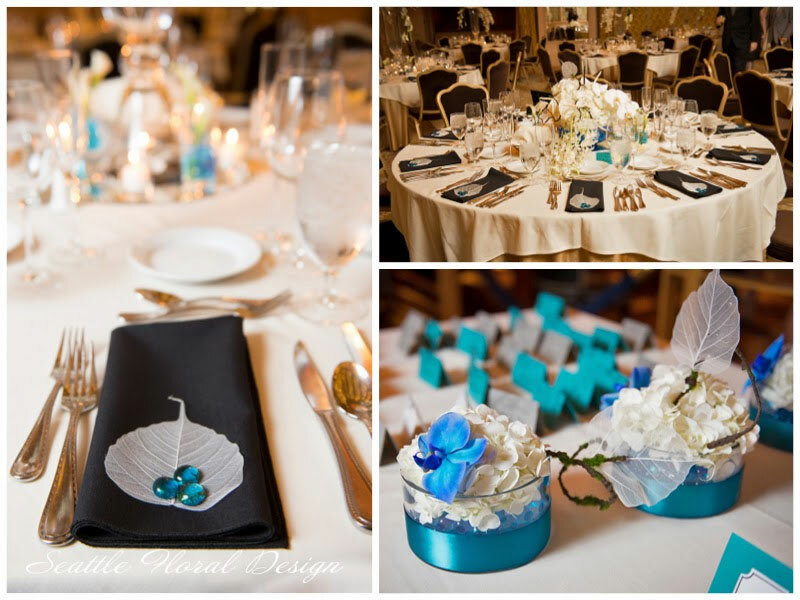 Every place setting had a napkin decorated with a skeleton leaf and blue gems.